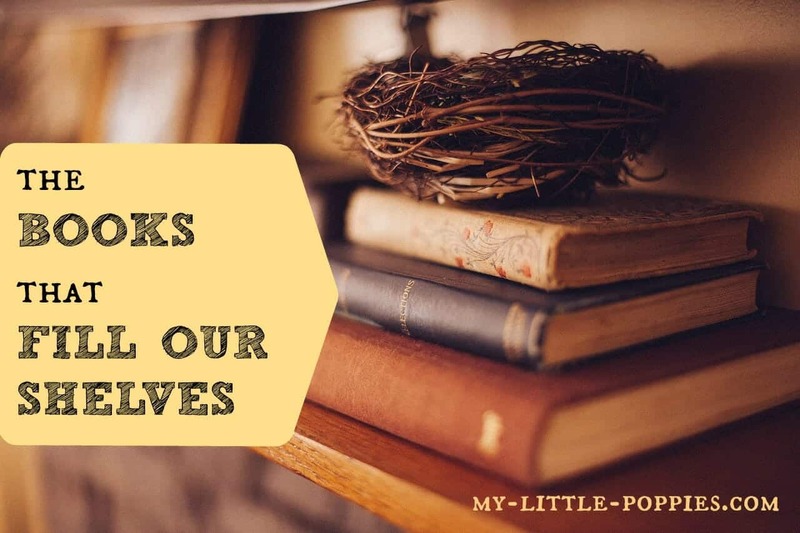 Here’s this week’s The Books that Fill Our Shelves, a weekly wrap-up of all the wonderful bookswe’ve enjoyed this week. The poppies were on vacation this week so we have more books to share than we typically do! When you’re done reading, please drop me a note and let me know what you’ve been enjoying lately! Folks, I devoured this book and then demanded that Schizz read it, too. Stay tuned for a post. This would also be a fantastic book club book! If you are the parent of a gifted child, or if you are a gifted educator, or if you love science, this is a must read. This book is written by Randall Munroe of xkcd fame and it’s every bit as funny and fascinating as the site itself. Munroe provides serious, scientific answers to the craziest of reader questions. If you are unfamiliar with Munroe, he’s a scientist-comic. Yup, I’m serious. The combination is an incredibly interesting and hysterical read. This book was recommended to me by several people following my The Space Between post. Now, after reading it, I can understand why! The Fringe Hour asks the too-busy women of today to stop and assess what makes them truly happy, and then find time to do that. Whether you call it The Space Between or The Fringe Hours, time spent doing what you love is important not only to your own happiness, but to the happiness of your entire family. As someone who values plenty of Space Between, I did not need to employ the strategies contained herein but I can see how they could prove incredibly helpful to the overscheduled. Guess what, you guys? Schizz reads, too! I’m going to start including his reads here, too. I gave this book to Schizz for Father’s Day and he said that it was the best book he’s read in a long time. Typcially, I give Schizz books that I think he’ll like and, upon closing the cover, he’ll report that it was “readable”…. Yikes! This one was more than readable, folks! I had to read this book after finishing The Boy Who Played with Fusion. I am going to start it tonight and can’t wait! Have you read it? I told Schizz that we are going to have Curley Family Book Club and he laughed at me, but I really want more folks to read this book so that we can talk about it! I love reading this book with my children. I still have my old copy, given to me by my Uncle John on Christmas 1987! The very first time we read this book together, we had a poetry tea time à la Bravewriter. To this day, my kids will request that we read this book and drink tea. It is the cutest, goofiest, most delightful tea party you’ve ever experienced, and your kiddos are sure to learn a lot of new vocabulary words, too! Yes, STILL. He’s reading the series for the third time since Memorial Day weekend. I have a post coming out about this read, re-read, read obsession! We were on vacation this week and Leo decided to spice it up and add another book to his Harry Potter-themed summer. He packed and read some Harry, but he also managed to read The Neptune Project three times, so I think it’s safe to say that he gives it two thumbs up. In this book, watercolor artist Mary Whyte documents her experience on an island off the coast of South Carolina. Leo said he was drawn to this book by its beautiful images. I wish we knew about this book last fall, when we were deep in Ancient Egyptian history! This book is part of a historical diary series. This particular diary is set in 1465 BC and tells the story of a young scribe-in-training. Leo is totally immersed in this book as I type! The kids have been interested in the environment lately, and this book was a perfect way to build upon their interest. My boys were stung by bees last summer and they have a little bee sting PTSD, and this is a wonderful way for kids to understand how important bees are to our environment. Schizz found this book at our town’s “free” section of the dump. My kids love when we find an Instant Dump Classic. This story is a great way to learn about taking care of a new pet and it’s filled with super-cute puppy pics! T and Seuss enjoyed this book quite a bit during our vacation. The book is filled with interesting facts on just about everything, paired with interesting and colorful photographs that keep those little eyes interested. Are you looking to work some nonfiction into your rotation? This book is sure to be a winner. We discovered the Action Bible early last year and I’m so glad that we did. It’s a graphic novel filled with Bible stories and it is a fantastic way to keep those squirmy kiddos quiet during mass, while sort-of staying on topic. Seuss rediscovered the Action Bible during our vacation and we read it on the beach one afternoon, much to my amusement. Doesn’t everyone read graphic Bibles on the beach during vacation?? Tell me, what are you reading?? Share here! *Disclaimer: Thanks to Candlewick Press for providing our family with these books. We are under no obligation to write reviews on these titles. All opinions expressed herein are my own and I only recommend books that our family has enjoyed.